There are many different terms used when referring to foreclosures. Often, they are referred to as “bank owned,” REO, sheriff sales, or auction properties from the dotcom sites. Regardless of the terminology, these are all properties that have been foreclosed upon or will be in the near future. This post was created for both new and seasoned investors and is meant to provide guidance in all the “what if’s” that can occur when purchasing distressed sales. More importantly, we want our investors to make smart choices, so they do not end up with title deficiencies later down the road. When playing in the foreclosure world, investors are encouraged to exercise caution. Your first step in protecting your investment is to lock arms with a title insurance company who will always have your best interest in mind. Remember, the goal of the seller is to unload their inventory, and the goal of your realtor is to earn a commission. Your title insurance company’s primary objective is to protect your investment. Period, end of story! South Jersey Settlement Agency (SJSA) has spent over a decade specializing in foreclosures. We have spent countless hours educating our investor partners to ensure they make solid decisions so that their investments are protected. We’ve made it our business to become an important part of their inner circle by transferring our knowledge and spending all the time they need in order to become seasoned at what they do. 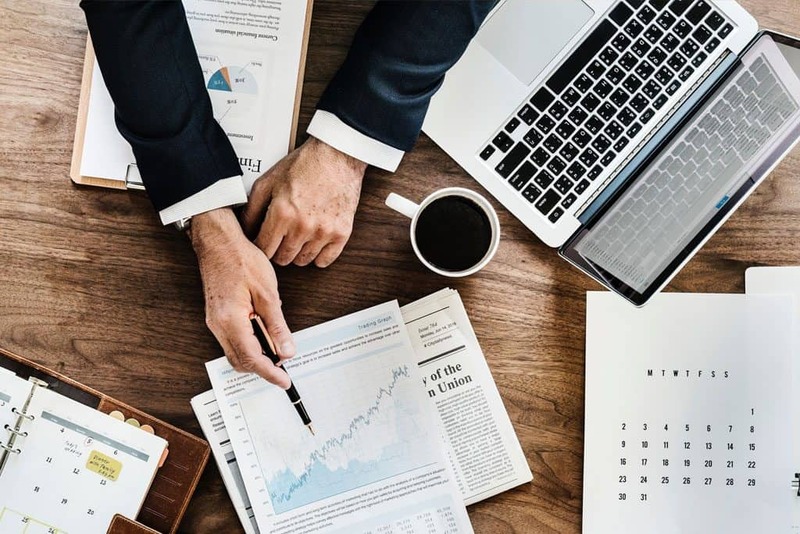 There are several common mistakes that investors make, and with this post, we hope to help you avoid some of those common errors and pitfalls. When purchasing foreclosures, it is important that you identify the entity selling the property. Is the seller a government agency such as the US Department of Housing and Urban Development (HUD), a Lender or Bank that took back the property, or perhaps another agency such as one of the dotcom sites (i.e. an auction.com or hubzu.com)? Working with a title company familiar with all the processes will be a huge value-add to you as an investor. It’s equally important to keep in mind that the seller is rarely concerned with the condition of the property. Again, their only concern is to sell the property and clear out their inventory. Proper due diligence and research for the particular market and neighborhood in which you are purchasing is essential. Try to get a handle on the home values similar to that of the property in order to establish market value. If you are a buy and hold investor, gather intelligence around the typical rents for the area. Investors often make the mistake of thinking they can rent for any amount they like. The hard truth is that you can only rent a property for the going rents in the neighborhood, give or take a few dollars. Likewise, if you are buying to remodel and flip a property, understand the cost associated with this model as well so that you can properly establish the after repair value (ARV). Investors often forget about holding costs such as real estate taxes, vacancy insurance, mortgage payments, and loan costs when they are planning to finance a project. Whatever you do, don’t forget to factor in real estate commission for the end sale. All of these costs will chisel away at your bottom line. Appropriate planning and budgeting are the keys-to-success when you invest in real estate. Foreclosed properties are often priced below market value in order to attract multiple bids, therefore, budgeting your project will be KING to ensure you do not overbid! Make sure you or a seasoned professional perform an inspection. Foreclosed properties are almost always sold in “As Is” condition, and if you don’t do an inspection, it could end up being a very costly mistake. The selling entity will typically not take responsibility for problems or defects as it relates to the property. Remember to check the major items such as electrical wiring, plumbing, pest infestation, and any structural problems that could end up costing you major dollars. Understand the entire contents of your purchase and sales agreement. Whatever you do, do not sign a contract unless you understand each clause. If you are not able to perform an inspection of the property before you enter into a contract, be sure the contract includes a contingency which allows for a home inspection and certificate of occupancy. This is the only thing that will allow you to terminate the contract should your inspection reveal problems you feel are too costly for the price that you agreed to pay. Also, make sure you do a final walk-through inspection before closing in order to determine the condition of the property has not changed from when you entered into the contract. Take pictures if changes have occurred. You’ll need them in order to prove your case. The biggest mistake an investor can make is believing that if the seller is selling a foreclosed property, the title must be clear. Quite often, this is NOT THE CASE. Truth be told, often property searches of foreclosed properties reveal clouds on title. As an investor, you should always be sure that the contract allows you to select your own title insurance company. Exercise CAUTION if your agent or the seller tries to talk you out of choosing your own title company. This is one of those instances in life where you want to make sure the title insurance company responsible for clearing title is working for you and only you! In New Jersey, title insurance is buyer’s choice, and a seller or real estate agent cannot (and should not) coerce any purchaser to select a specific title insurance company. That’s the law! If your real estate agent encourages you to use the title company offered by the seller, the simple and honest truth is that they are not looking out for your best interest and you should, most likely, find someone else to work with. All too often, real estate agents cannot look past their commission, so we always say buyer beware if your agent tries to bully or insist that you not select your own title company. Locking arms with a seasoned title company that’s familiar with working the world of foreclosures and REO managers will be one of the best decisions you will ever make. Your title company is there to protect you and any other insured party (such as your lender, if you plan to finance your project). We know you want the property, but you never want to take possession unless you are confident there are no title deficiencies. Accepting the seller’s title policy will save you pennies in comparison to what it may cost you in the end if later down the road, a title defect is uncovered. We implore investors to “smart spend” and safeguard their investments. This strategy will save you from ending up with a lemon or an issue that could take months to resolve, which will only chisel away at your bottom line. As your title insurance company of choice, SJSA will conduct a professional search of the property and will not proceed to closing unless the title is bulletproof clean! First and foremost, we will always have your best interest at hand. Without clear title, you will not be able to get an owner’s policy which protects you against any potential errors made in the foreclosure or during the history of the land you are about to own. Not buying an owner’s policy should never be an option because it’s the only thing that truly protects your investment – especially with foreclosed properties! The best advice we give our valued clients is to have patience. Do your research and work with a title insurance company such as SJSA that has the “know how” should a defect be detected. We will never put our investor partner’s investments at risk and we will not proceed until title is squeaky clean. And if it takes a little longer than the contract deadline, we know how to make that happen as well. The additional time will be your saving grace. We strive to be an important part of your inner circle and believe our reputation along with deep knowledge of the real estate business precedes us. By far, we are known for being the most investor friendly title company in New Jersey. And our clients love us because we have the know how to navigate the foreclosure world, and we ensure on-time closings with finesse, like no other. Remember, it’s all about your protection and SJSA has the resources and “know how” to help you become an expert in buying and selling foreclosures. We are specialized in every arena for our investors including wholesale, assignments, and double closings. The relationships we have with our investors are second to none. They rely on us every step of the way, and come back to our agency time and time again. Bottom line, we have their back, and we’ll have yours too! For a guided tour of how to navigate the world of foreclosures and REO business, we encourage investors to contact our office at 856.690.1121. Very informative blog. I made the mistake of not researching title a few years back and ended up with a problem property. I don’t understand all that happened other than my title policy didn’t give me all the assurances I thought I had. The property was a foreclosure but there were liens that never cut off which I didn’t know about until it was time to sell. My flip was budgeted to return a $22k profit but when it was all said and done, the project ended up costing me money because I had to hire lawyers. The deal got locked down for 2 years. I’m trying to get back in the game and one thing for sure, I’ll never let anyone pick my title company for me. Great blog! Thank you for your feedback. I wrote the article because what happened to you, happens quite often. When buying foreclosures, or any property for that matter, your title insurance policy needs to bullet proof protect your investment! Companies that tout they are paying for your title insurance are often trying to unload problem properties. As a buyer, you want to select an agent who is working for you and only you! Not the seller, not your real estate agent or lender…only you!